It’s not an ordinary summer morning. I can hear the waves softly crash onto the shore. 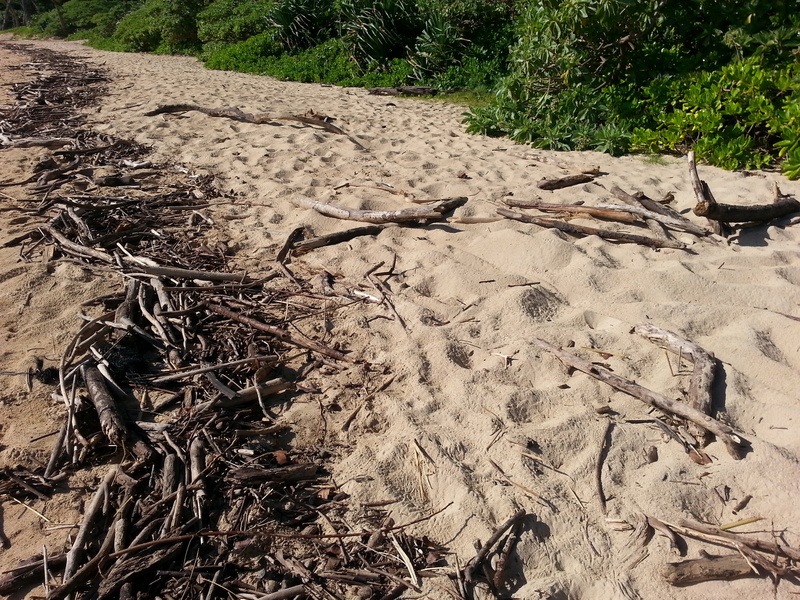 I’m in Hawaii, steps away from the beach, just steps. It’s humorous how the ocean is such the panacea for everything on the islands. 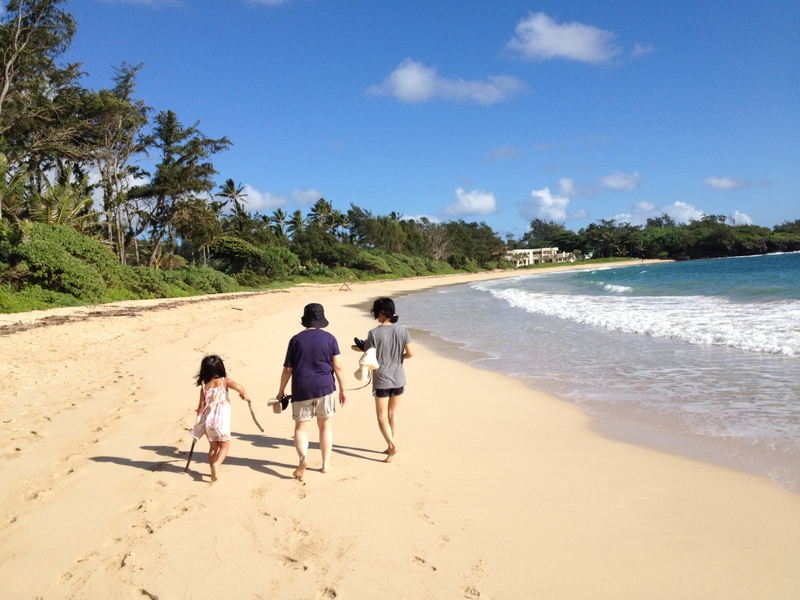 So my mom, sister, my little girl and I slather on some sunscreen and walk a few steps to the beach …and of course, we have to take off those slippahs. 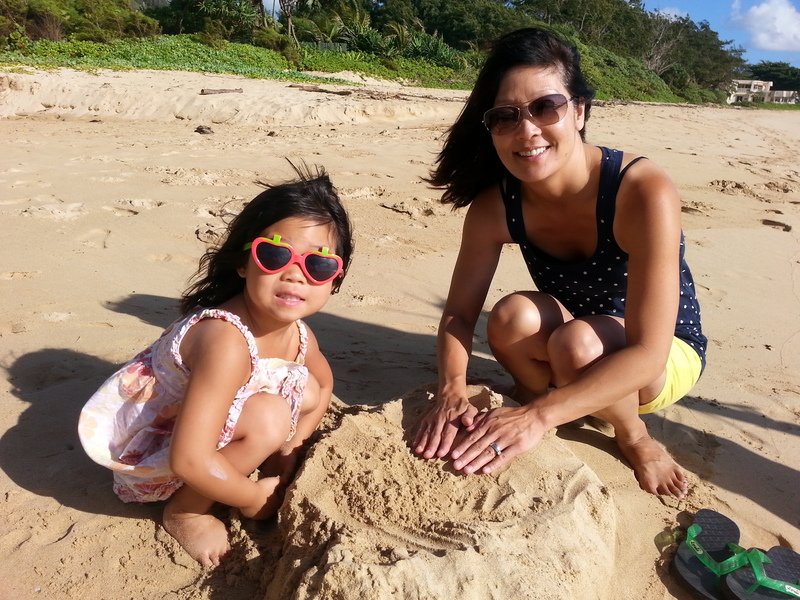 My daughter, never one to walk a straight direct line, stops to build a sandcastle with her auntie. Then we keep walking and walking … and walking. 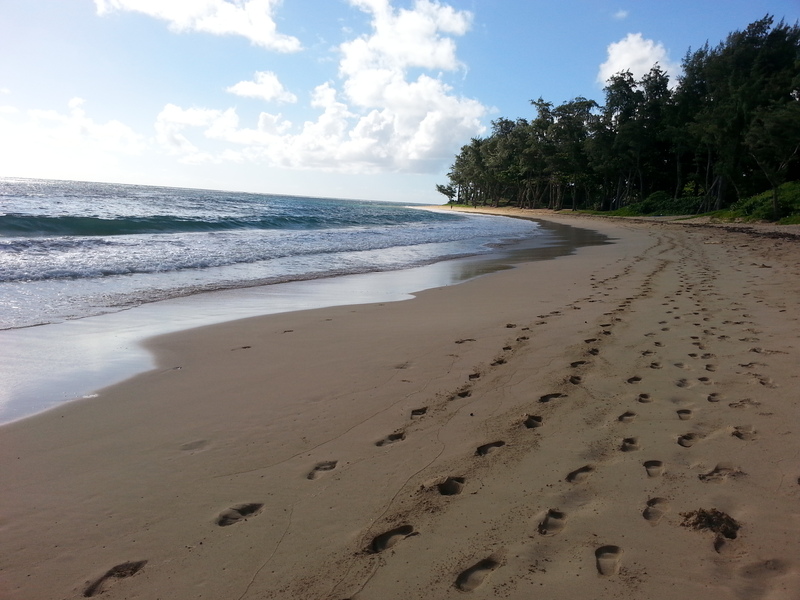 With my mom and sister yards ahead … my little girl and I trail behind, meandering around their footprints. 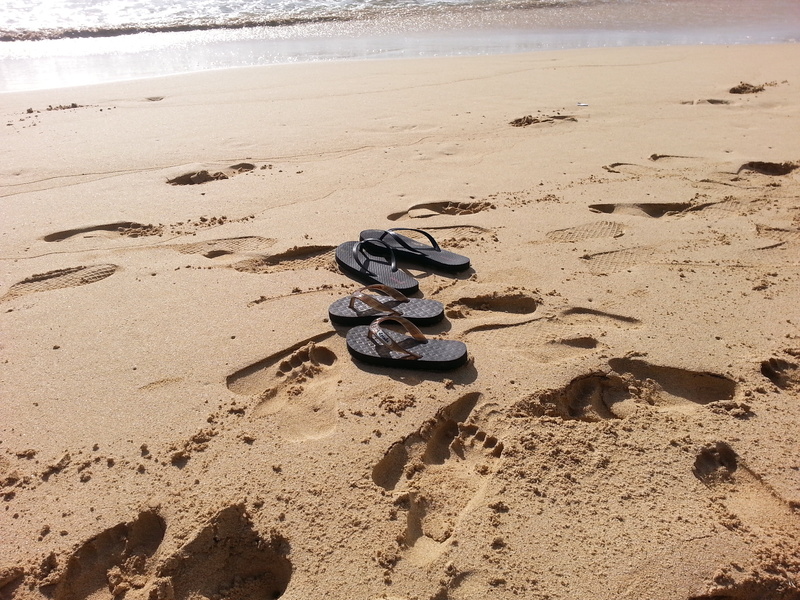 The sand feels really smooth and amazing underfoot. But I am exhausted. The pain sets in. The reality that I am still not completely well is hard to accept. It’s really hard to be held back by constant fatigue. Because I look at this world, and there are so many things to experience and appreciate and sink our toes into — but it all takes energy. And as I am recovering, energy is the one thing often lacking. But there is one thing that keeps me putting one sandy foot in front of the other — one simple, weighty word. Without hope we’re nothing. We’re just tired, hurting, crying, dying people. But hope changes everything. It writes redemption, purpose, and grace all over our stories. With that sentiment, I borrow a piece of driftwood from my daughter’s hand, kneel down onto the damp floor, and write h-o-p-e. But then a wave washes over it. Bummer. It now so elegantly says, HOP. I look around the empty beach. “Let’s move over here,” I say to my daughter. We take a few steps back. 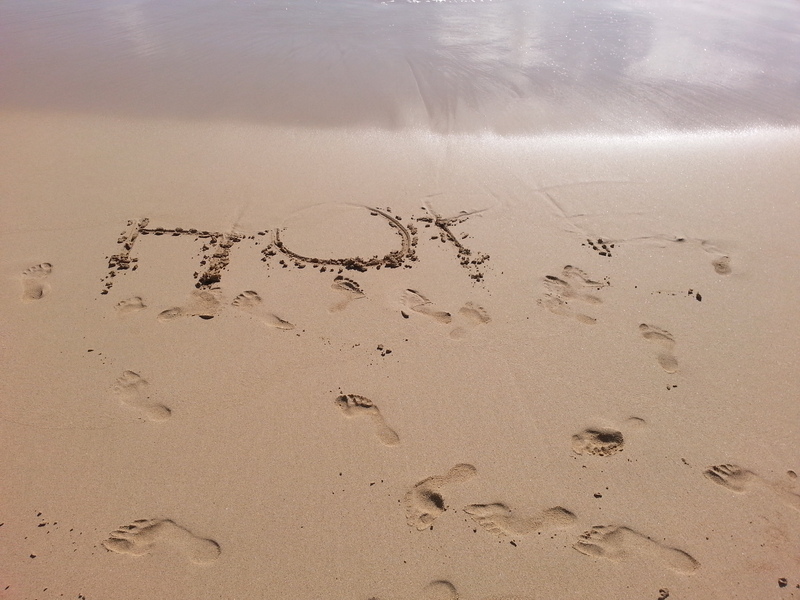 I kneel down again, and write the word again, this time more firmly into the sand. Tiny translucent crabs scurry over it. And the waves come, and they come close … but this time, hope stays. Against the odds, it stays untouched. Whatever the struggle, the One who is our forever hope says … rejoice, be patient, pray. So we learn how to write the curves and lines of these four letters again and again, with nothing but the driftwood of our lives, onto the sands … onto our hearts, until they are impervious to the crashing waves. 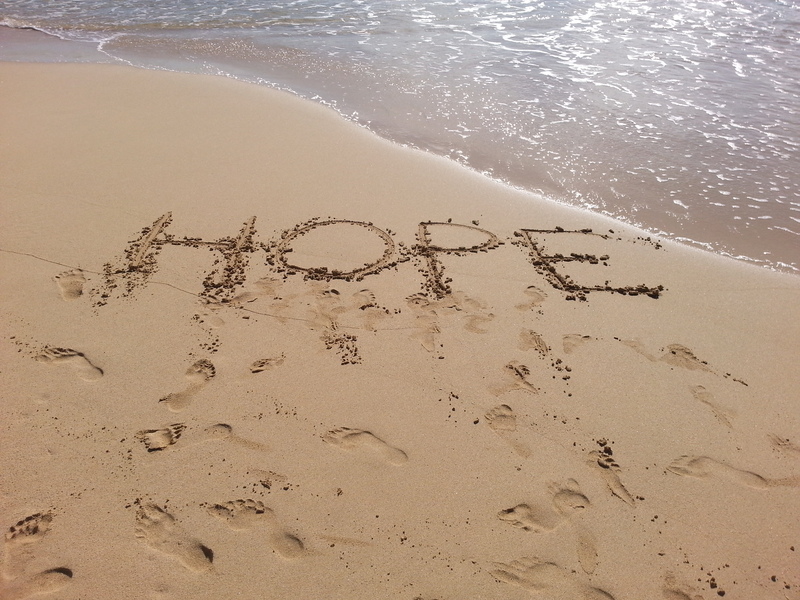 Let’s keep writing hope on our hearts.